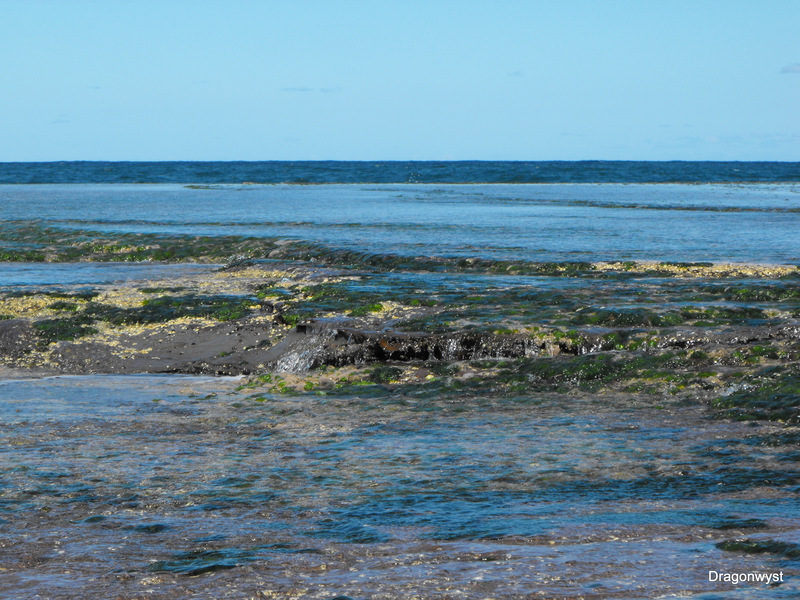 A couple of weeks ago I found myself standing on the rocks at the beach – low tide. My parents, hubby and I had just enjoyed a lovely lunch out to celebrate birthdays in August, September and October. My parents can seldom resist an opportunity to sit and watch the sea, so we’d made our postprandial way beachwards, and here I was – rock-hopping – unable to sit still after sitting in the restaurant. The ocean was its very best shade of deep blue and aqua, the sun gently warm, and I basked in it, relishing the rough rock under my feet, the delight of skuttling crabs at the fishing edge, anemones hiding in clefts, little fish temporarily trapped ’til the return of the tide, the salty breeze. I felt tears prick at the sheer pleasure of being. How can anyone not love this planet? This underpins everything for me – this sense of connectedness, this awareness of how I am part of this little green, blue and red spinning globe. It’s no accident that I feel compelled to greet and talk to every bird, animal, fish and insect I cross paths with. They are as much a part of this place as I am, interdependent, they speak other languages, have other perspectives, ways of being, sorts of consciousness, but we share the will to live, to be, to create. In this business of life, we are very deeply connected. ~ by Dragonwyst on October 21, 2014.